We are spoiled with rare guitars here at Wildwood, but this one takes the cake. It's one of Rickenbacker's Walnut 360/12s with a one-of-a-kind finish called Jetglo Pearlstar. We are privileged to showcase such a rare instrument, and we believe our friends at Rickenbacker have outdone themselves with this drool-inducing paint job. This is the only guitar with such a paint job in existence, so give us a call if you're looking to snag a piece of Rickenbacker history! 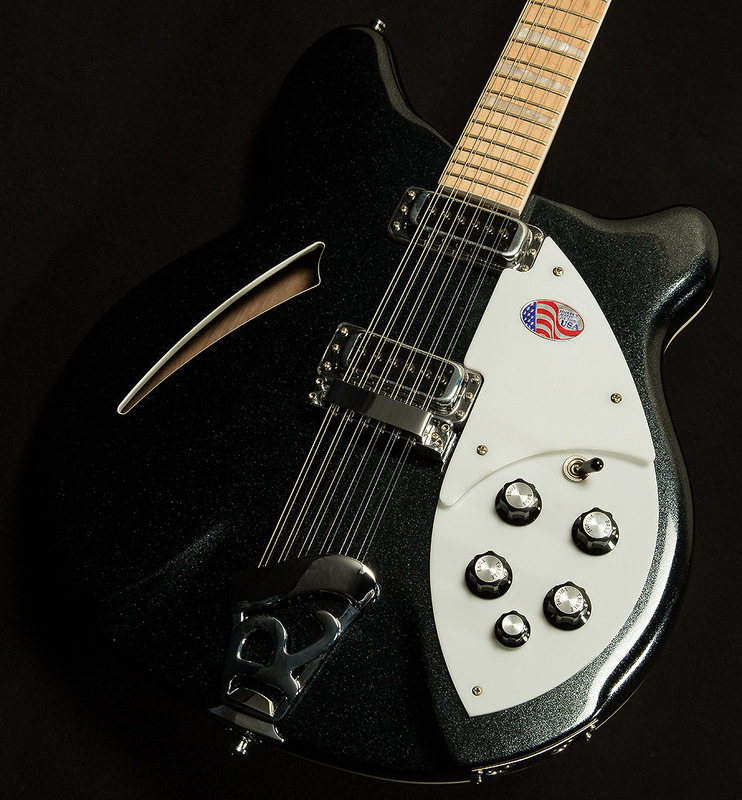 If there's anyone who doesn't need to reinvent the wheel, it's our friends at Rickenbacker. Their fine guitars have shaped the sound of popular music for over eighty years, so you'd think that they'd be content to rest on their laurels--especially regarding twelve strings! 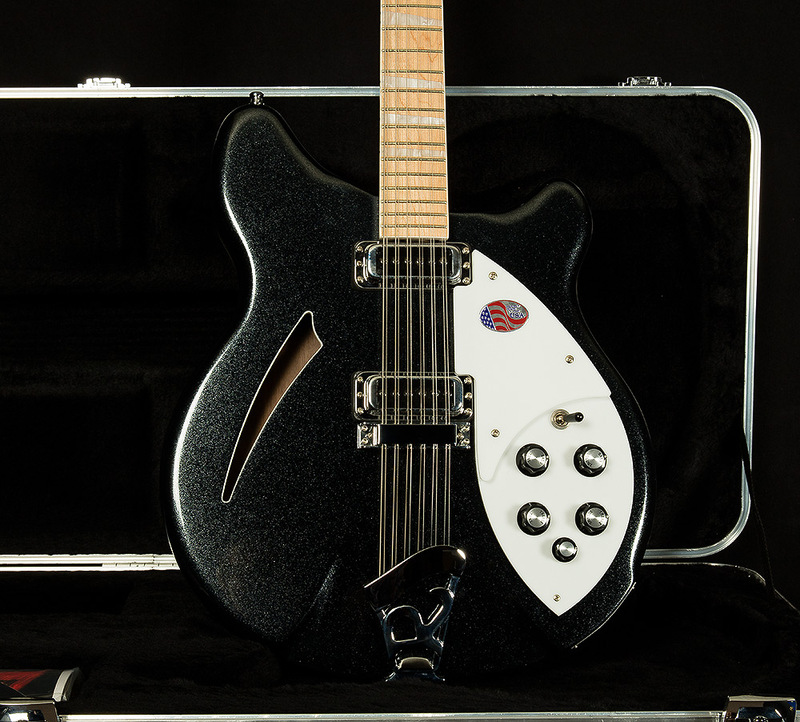 Nevertheless, Rickenbacker's tireless commitment to innovation has persevered throughout the years, and their adventurous spirit is still alive and kicking in the brand-new Rickenbacker 360/12W! For years, guitarists have air-guitared along to the sweet sounds of Ricky twelve-strings on countless classic records by The Beatles, Tom Petty, and The Byrds. Now, Rickenbacker is offering lovers of jangle everywhere a chance to experience these delightful classic sounds with a brand-new walnut twist! 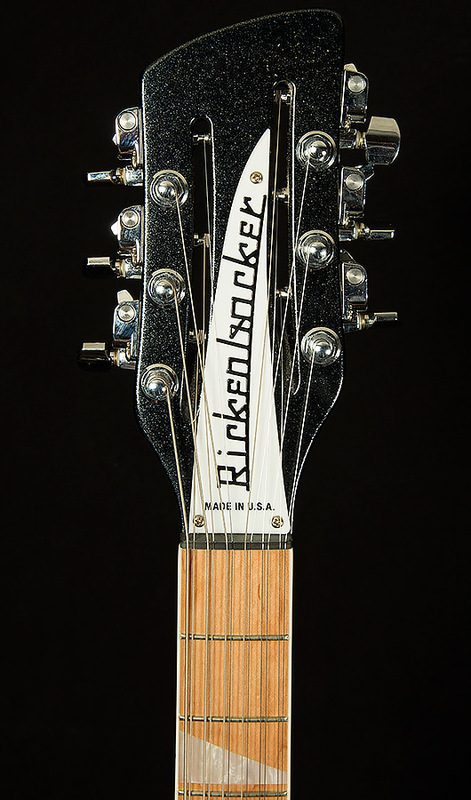 Rickenbacker typically makes their twelve-strings with a maple body to promote brightness and clarity in the sustain and a rosewood fretboard to gain a sweet attack. These new 360/12Ws have an entirely different sonic flavor! As a tonewood, walnut is supremely balanced, with a strong midrange presence, woody lows, and round, warm overtones. When you pair that tone with the snappy attack imparted by the maple fretboard, you get a twelve-string sound unlike anything else: warm and crisp like grandma's apple cobbler, but with the same classic bell-like Rickenbacker timbre that we all know and love. The team at Wildwood Guitars is honored to present such a delightful twelve-string to our exceptional customers, and we cannot wait to see what ways it inspires you!